Follicular Unit Extraction (FUE), is an advanced hair transplant procedure that does not leave a visible linear scar. Ideal for patients that have very short hair or to camouflage wide and visible existing linear scars from previous transplants, FUE is a surgical technique that extracts single Follicular units (groupings of 1-3, sometimes 4 hair follicles) from a donor site which are then moved to the new recipient site. Minimally invasive, the procedure is performed without a scalpel. As such, previous FUE technology made for slow hair grafts - the newest FUE technology, NeoGraft, allows for a speedier and more efficient graft, harvesting almost 3xs as fast as previous devices - including traditional linear or strip harvesting. FUE with NeoGraft can be performed on both males and females to address hair loss. The lack of stitches means no scarring and without the linear scarring, FUE may deliver the most natural looking hair transplant. 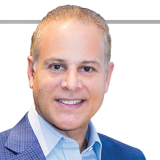 Read NeoGraft hair restoration and other hair restoration options, featuring Boca Raton Neograft provider Dr. Alan Bauman. Hair transplants to hide facelift scars?